Rising out of the swath of forest that stretches from Norway in the west right through Russia to almost the Pacific in the East, Trysilfjell is the home to Norway's largest ski area. With 31 lifts, over 100kms of marked piste and a vertical drop of almost 3000 feet Trysil is a match for most Alpine resorts. Trysil opens at the end of October and closes at the beginning of May which is one of the longest ski seasons of any resort in Europe. 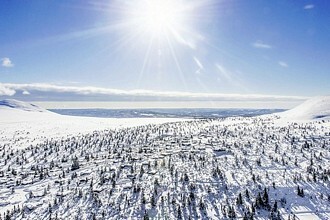 Trysil also offers a unique snow guarantee - if there is no snow then the company running the ski centre will refund the costs of accommodation, and any ski passes, ski hire and ski school that have been pre-booked - see www.skistar.com for full details. 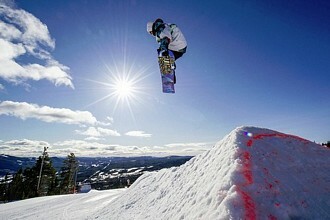 Trysil is located close to the Swedish border around 2 hours north east from the main Oslo Airport - Gardemoen. 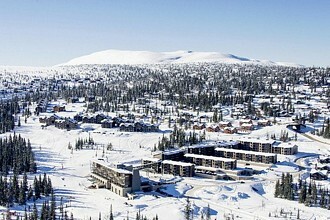 The actual resort is two villages; Trysil Centre is the main village - there is a large(ish) shopping mall at one end of the 'high street' while a number of bars and restaurants are dotted along the main street. Trysil Tourist Centre is on the mountain - there are a few bars, restaurants, the information centre, sports shops, a large super market and for the Children a Lego shop. Most resorts in Norway are perfect for introducing beginners, especially children to the joys of skiing and snowboarding. 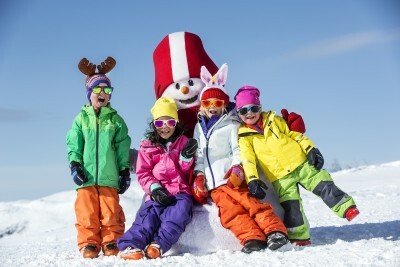 The nursery areas surpass most of the areas that traditional Alpine resorts further south can offer and Trysil is no exception and all the ski instructors are friendly and speak perfect English. 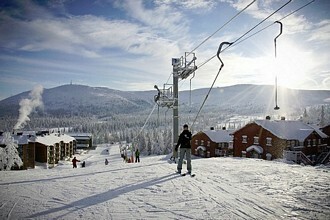 There are two distinct areas; Trysil Tourist Centre has a large area serviced by 3 tows and a magic carpet. 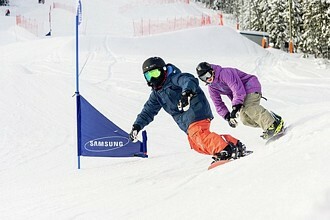 There is a practice round about tow, tracks through the trees to explore as well as wide open learning slopes. If the children get tired they can always retire to the fabulous Lego shop. There is also a crèche available here. Once the basics have been taught, beginners will soon be up on the express chairlifts exploring the mountain on the many green and blue runs that cut through the trees. There is further nursery areas - Trysil Hoyfjellssenter on the North side of the mountain. Here there are 7 nursery lifts, over 12 green runs, a magic carpet and the all important Lego shop to go an play in! Intermediates will revel in the wide open slopes and virtually no lift queues. The blues and reds off the Fjellekspressen 6 man express chairlift swoop back down to the base area - over 2 miles of glorious pisted snow to really start those carve turns. 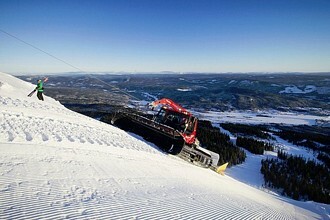 From the top of The Fjellekspressen chairlift head either left or right to the next drag tow to access to Fjellroa area. This northerly bowl is served mainly by an express 6 man chairlift with heated seats and a canopy. From Fjellroa take the 36 run - a beautiful relaxed piste that winds down through the tress to Hoggegga. At Hoggegga take either the T bar or the express 6 man chairlift before heading over to Knettsetra for some well earned waffles and coffee. 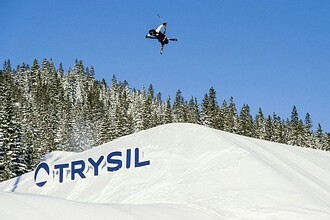 The more advanced skiers will be surprised at the amount of varied skiing available at Trysil both on and off piste. Carving can be perfected on the wide open runs back down to the Tourist Centre. Head over to Hogegga to beat the blacks. Piste 63 from the top of the Hogegga T bar is the local race training piste; higher up via the double chairlift Svart'n, the black pies 30 back down to Hogegga is one of the most enjoyable black runs we have ever skied! Run 75 will surprise all as it rolls over into a steep 45 degree pitch. There are a few off piste areas - Fjellroa is wide an open, with a couple of minutes hike from the top of the Parallellen T bar there is a wide but steep pitch down to The Hesten Poma tow. From the top of the Hesten Poma, head back down towards Hogegga - starting with wide open steep pitches before crossing pistes and working your way down through the woods. Breakfast skiing is available at Hogegga on a Saturday and Wednesday from 9 February onwards. Breakfast skiing costs 200Nkr (which includes breakfast) and gives you two hours of freshly prepared but virtually empty pistes at Hogegga. Evening skiing is available on a Tuesday, Friday and Saturday all season. 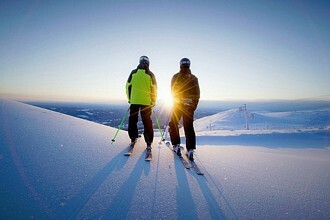 Trysil Guides operate an excellent ski school at the Tourist Centre. All instructors speak very good English and are friendly and enthusiastic. 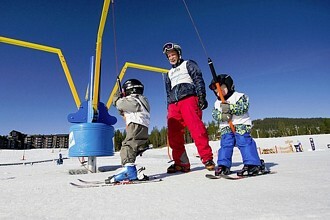 Children's ski school is available from ages 3 upwards. Group lessons are for 1.5 hours and operate from 10.45 am each day from Monday through to Friday. Youth group lessons (ages 10 to 14) are again Monday to Friday and generally from 13.15 for 1½ hours. Adult group lessons are available for all levels from 9am. 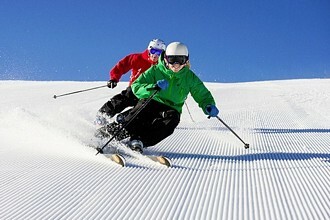 Private lessons are an excellent way to progress your skiing; private lessons can be for 1, 1½ or 2 hours in duration. Ski Passes are valid for all lifts for the number of days shown. 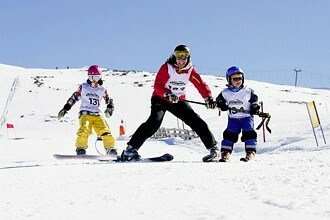 Children under 7 Ski For Free if they where a helmet. The ski pass includes evening skiing but not breakfast skiing. Youth Passes are for 'children' aged 7 to 15; adults are 15 to 65 and senior 66 and over. An indoor crèche is open from 21 December through to 18 April. Toy cars, books, films, crayons, games all help keep the little ones entertained while you are out on the mountain. The crèche service can be booked by the hour, day or week - meals are not included.